They are already here. They hide among us. They hunt us. They feed on us. The ARE us. 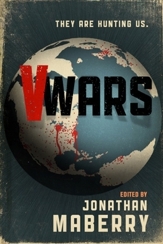 V-Wars is the chronicle of the first Vampire War. From the savage murders committed by the patient zero of the plague to full-out battles with vampire terrorist cells, these are the stories of the most terrifying war mankind has ever faced! With stories by Gregory Frost, Nancy Holder, John Everson , Yvonne Navarro , Scott Nicholson and more. 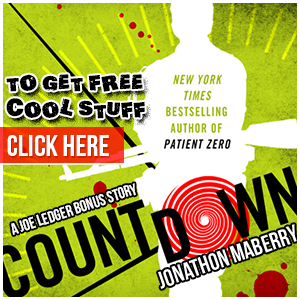 Copyright Jonathan Maberry, LLC. Site design by John Langan. Author Photographs by Sara Jo West.